As an avid reader of HR In Sights I’ve often stumbled upon wonderful articles which have helped me grow, both personally and professionally. Sharing an excerpt from an article posted by Ben Quarless. Thank you Ben. Systemic Team Coaching is a process by which a team coach works with a whole team in the context of their organisation’s current and future requirements to help them improve their leadership as a whole team and as individuals. Connections with, impact on and ability to influence and lead in the wider system are additional outcomes that the approach achieves. 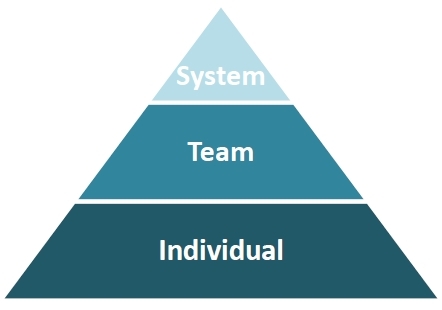 In Systemic Team Coaching the team is coached a team as a unique and coherent ‘whole’. Systemic Team Coaching is therefore not the same as individual coaching of each team member in a group setting and is also fundamentally different to ‘team building’ which is generally more focused on improving team-member relationships. A systemic team coaching approach considers the team to be an inseparable entity whose performance and results depend on the systemic, interactive, operational responsibility of its members – functioning both together and apart. The work starts with an inquiry as to the purpose and mandate of the team in the organisational context. The rationale and mandate for the team are examined from different perspectives to create clarity and purpose. Systemic Team Coaching is also primarily focused on achieving clear performance results as measured by mutually-created and measurable criteria. A Systemic Team coach works with and alongside the team and does not stand outside with a focus on facilitation alone or indeed training alone. The answers lie within the team and wider system. As a result each team member has the opportunities to develop personally and professionally alongside moving towards greater organisational health. Therefore it is essential that organisations work with a coach who has the capacity to work with the whole team and see beyond the individual personalities. Someone who challenges thinking and will variously provoke and invite the team to expand the boundaries of its’ thinking to enhance performance. Systemic Team Coaching can deliver extraordinary results for the team and organisation. This holistic approach has been shown to deliver increased performance and collaboration amongst key teams because it actively seeks to work with the organisational factors that sometimes unconsciously block teams from working effectively together. In my experience, within a System Team Coaching session you are likely to hear bold cut-through statements that get to the core of some of the organisation’s most acute challenges and the team coaching work which takes places is therefore deeply embedded in the service of the organisation’s overall performance and health. Systemic Team Coaching actively looks for ways to connect the work and journey of the team back into the organisation and explores shifts and changes that it can make institutionally – upwards, laterally and cascading through the system. As a result, profitability, productivity, customer satisfaction and employee morale all benefit from the team’s improved ability to connect with, impact upon and lead in the wider organisational system. This article appreared in People Matters – November 1, 2011 issue. It carries my views on the field of coaching in India at present and the future trends which may be seen in the industry. Would be happy to recieve your comments. How matured is the concept of ‘executive coaching’ in India? I would say it is still in a very nascent stage. Though there has been substantial growth in the last 2 years and while there are no ready figures, my guess is that we have seen a growth of 30-40 percent. Culturally, given the family and social structure in India, a person naturally tends to fall back on family and friends for any advice or feedback in life. This non-judgmental and professional help and support has never been a trend in India. Further, at present, the number of coaches in India is far less – a few hundred to cater to a population of one billion. There are also no specializations in India as yet, unlike in Australia or the UK, where there are different categories of coaches for different requirements – parenting coaches, wealth management coaches, relationship coaches, weight loss coaches, etc. In India, everything is under the broad banner of ‘life/executive coaching’. Coaching in India is on the growing curve. The growing number of MNCs in India is redefining the work culture here and the change in the social fabric due to the emergence of nuclear families will propel the need for coaching. What is the role of a coach? How does it contribute to business productivity? When is coaching useful/required? Coaching is a dynamic, creative and systematic process, where the coach enables the coached to get useful insights by the power of asking high-gain questions. It enables the coached to become self-aware especially about his/her strengths and weaknesses, unhelpful patterns, aspirations and challenges. It is a highly valuable tool that can enhance employee engagement in the organization and build a culture of support and encouragement. The role of a coach is to bring coherence between the efforts of the individual and the company. This in turn will lead to increased productivity, reduced cost, lowered rate of attrition and higher motivation. Coaching can be applied at multiple occasions. At the organizational level, a coaching intervention may be especially useful during times of quantum change, for example, mergers, acquisitions, and significant changes in market conditions. At the executive level, it maybe useful in times of role transitions (change in role), in case of performance issues and even to fast track the high performers. What is the ‘coaching style’ that you have adopted and why does it work best for you? I use the ‘facilitative’ style of coaching where I take the ‘whole person approach’. While it is possible to focus on just one area, life cannot be put into water tight compartments. A change in any one area of one’s life is bound to have an impact on the other aspects of his/her life. In the short run, at times, this approach may not seem to be impacting the business goals directly, but in the long run, I am very positive that it is bound to benefit the business. We use the LEAP (Leadership Enhancing & Acceleration Program) framework, which works towards bringing coherence between individual and organizational goals. What are the other methodologies in coaching? And how do organizations know which methodology will work best for their purpose? Other methodologies could be more direct and at times, a combination of prescriptive and facilitative methods may be used. It usually depends on the organizational culture. In a free culture, which fosters growth and development and the focus is on the long run perspective, the facilitative method of coaching works best. However, it is important that the organization supports a safe learning environment to ensure its success. Whereas, in the case where there is restriction on time and the organization expects results or outcomes in a short run, the direct or prescriptive method may be adopted. Every organization has its process of studying the need and the philosophy before deciding or screening for the appropriate coach. What are the challenges in ensuring success of a coaching exercise? It is essential to ensure that the outcome expected by all three parties – coach, coached and the organization, is the same. One must also consider the willingness and keenness of the candidate. Often, sustaining the coaching journey becomes a challenge as the coaching exercise is quite demanding at times. There is also a need to check the Coachability Index to gauge the eligibility of the candidate as we are not coachable at all times. It is also crucial to gain the right support and endorsement from the stakeholders to ensure that coaching is effective. The organization must provide a safe learning platform to allow employees the time and space to grow and evolve. Coaching should never be remedial in nature or considered as a ‘fix-it’ exercise. What is the future of coaching in India? With the changing social fabric and the ever stressful work culture, I foresee the demand for coaching to go up exponentially in the coming years. From life coaching, spiritual coaching, career coaching to executive coaching, newer specializations will emerge. Also I expect that coaching in India will combine the eastern philosophy into the whole coaching concept and then it will emerge as a powerful tool for the growth and development of the human resource. One of my favorite books on coaching is: Emotional Intelligence Coaching: Improving performance for leaders, coaches and the individual by Stephen Neale, Lisa Spencer – Arnell and Liz Wilson. It’s a book I highly recommend especially for the coach community. Not that my peers are not ‘emotionally intelligent’ already, but the book is sure to add value in some way or the other; both to them at an individual level and to their clients via their further sharpened skills. The benefit a coachee would derive (over other models) is the ability to gauge his emotional wellness ( barometer) during the coaching sessions, between them and even after the coaching intervention is complete, if this model is used well. With exercises and questionnaires to develop one’s own emotional intelligence and thereby be instrumental in helping the coachee develop his/her own, this book is a rich resource. 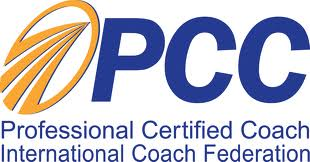 There are many coaching models which are used by coaches world over to bring structure to the coaching conversations. One which is preferred for its simplicity and easy application is the GROW coaching model. This model allows flexibility and can be used to structure both a coaching conversation as well as a longer coaching intervention. The GROW coaching model has been developed and popularized by Sir John Whitmore, a former racing car champion, sports psychologist and leading coach in UK. He is known for his famous works: “Need, Greed or Freedom” and “Coaching for Performance: Growing People, Performance and Purpose”. GOAL: This phase is characterized with identifying the long term goals for coaching and the short term goals for the session. A stage to build a ‘compelling’ future. How would you know you have achieved it? Is it realistic and achievable? What would happen if you are not able to achieve your goal? What will be different when you achieve it? A word for the coach: Check to see the goals identified are SMART goals. They should be inspiring enough to be able to stretch the client and on the other hand on too big that the client may soon feel demotivated to achieve them. REALITY: This phase deals with the exploration of the current reality. Before heading towards the goals it would be only prudent to take stock of the current reality. How is that affecting you? 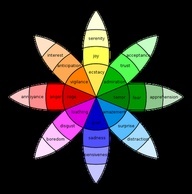 Is it/ How is it affecting others around you? How do you know that is accurate? Have you done anything about it so far? If yes, what have you tried so far? What results did that produce? A word for the coach: Try to get the client to state the reality in as focused a manner as possible. Generalizations should be avoided. Spend adequate time here as this is the place where the client will come out with the limited beliefs he/she is carrying with them. OPTIONS: I call this the ‘creative’ stage. This stage calls for brainstorming and ‘out of the box’ thinking. What could you do to move you one step ahead towards your goal? What strategies can you bring in from past successes? Which option do you have most energy around? A word for the coach: Try to get an exhaustive list of options. Usually the first few options that the client comes up with would be the ones that he/she is most comfortable doing. Hence, these would not really push them out of their comfort zone. Make them think and be careful of displaying any personal judgments (by way of words, facial expressions or voice) towards any of the explored options. Will/Way forward/Wrap up: This stage deals with action. The client is encouraged to choose the course of action which best propels him to his goals. Deadlines are fixed. Commitment is checked and now its time for forward movement. Which option/s do you choose to follow? Who could provide you with this support? When/ how will you approach him/her for this support? When will you start action steps? When will you achieve each of your actions? Is anything stopping you from moving forward on that option? What will you do about it? How can I as your coach best support you in this phase? A word for the coach: It is essential to build accountability here and also to check the motivation levels to ensure the client does follow through on what he commits. The model has been explained sequentially but it is not always as linear as stated above in real life coaching situations. The coach and the client may move back and forth between the steps until they hear the ‘clunk’. It is imperative for that the client is allowed to spend enough time in each phase to experience the richness of this model and any tendency to move quickly to the next phase should be refrained from.